On April this year Liberation sponsored Cianan Whelan, a freelance research assistant at Liberation, to travel to Macedonia to participate at a Refugee conference there. The following is a brief report from the conference. In response to the ongoing refugee crisis, a European Union committee was brought together to allow NGO’s from European countries to share good practise and network to promote a stronger and more unified approach to the crisis. We gathered in Macedonia, for joint staff training as part of the project KA2. This is the Strategic Partnership for Adult Education – Migrants Not Excluded (MINE). 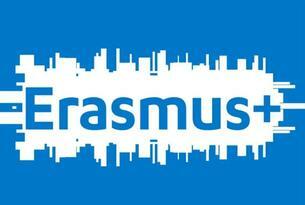 It is a long term partnership between nine European partners, supported by the European Commission, through the Erasmus+ programme. It involved a six-day experiential training and learning experience looking at first support/hotspots, language teaching, arts for learning and non-formal education. Best practices were shared by Greek, German and Lithuanian organisations. As part of the seminar, the group also visited the refugee camp in Tabanovce. Besides defining and sharing good practices in integrating refugees from other countries, the participants also listened to activists. The next step is joint staff training in Greece, to continue to collect good practices and to assess their applicability. There were representatives from Portugal, Italy, Lithuania, Germany, UK, Belgium, Greece and Macedonia. Nishaharan Vaithilingam, Talal Karim and I attended on behalf of the UK and Liberation. Nishaharan and I also represented our respective charities who work with refugees and asylum seekers. We flew from Heathrow to Istanbul and then on to Skopje the capital city of Macedonia where we drove to Kumanovo where the training venue, Etno Selo, was located. Each participant shared their differing accounts of what the refugees in their country were going through and what their approach was to support them. Here in the UK we are mostly shielded from refugees showing up on our coast or our borders unannounced. Refugees are usually brought to our country in a controlled manner through referrals from refugee agencies across Europe. Many have recently come from Calais or via Calais. This is due to our geographical location making our coast far harder to reach than the rest of Europe. In Macedonia, Greece and Italy refugees are washing up on their shores and groups of thousands of refugees are walking into their country, via makeshift directions or train lines. Their objective is to look for an opportunity of a peaceful prosperous life. The main countries the refugees travelled from were Afghanistan, Syria, Iraq, Libya, Sudan, Nigeria, Ghana and Cote d’Ivoire. The Macedonian NGO’s passionately described crunch points where thousands of refugees, men women and children, fleeing torture, murder and imprisonment, would all arrive at the refugee camps. They had travelled for weeks or months, pushing their hands through the fence, pleading for food and water in desperate search for basic all the basic human necessities. The scene sounded like biblical stories of Moses walking his people across vast lands to reach safety but this was a very real 21st century reality for many refugees and the support workers trying to help them. Our trip coincidentally coincided with a far-right group taking over the national parliament. This was as a result of an Albanian immigrant being elected as the House Speaker. Politicians were attacked in a brutal and powerful display of force. This did, however, not seem to speak for a consensus amongst the Macedonian electorate as the government, a supposed manifestation of the peoples will, were happy for refugees to stay. It is, in fact, the refugees who want to use Macedonia as a transit country on their route to Germany (predominantly) where many of the refugee’s family and friends live but also where they feel they have the greatest chance of prosperity and being welcomed. Workshops were run by the German, Lithuanian and Greek NGO’s. The Lithuanians run theatre workshops in refugee camps to lift morale, develop coping skills and to create closer ties between refugees who are often from different nations. There were a range of activities including games where two individuals have to sustain eye contact with each other for two minutes. At first, there were nervous giggles but as you continue to hold eye contact you can feel your connection with the other individual increase drastically. After the exercise, I felt I was far more comfortable connecting with the rest of the group. It was clear that this would be beneficial to refugees polarised from others in their new home within the context of dealing with post trauma symptoms. The Greeks, a quite remarkable group of individuals started their involvement when three of them drove to the border camps as soon as they were informed of the crisis with basic resources. This D.I.Y approach, spending much of their own money along the way, was especially inspiring. They are now a much larger group whose work is even more far reaching. They shared trust exercises where participants are blindfolded and led over the complicated terrain with no verbal communication allowed. Again, looking to achieve similar aims to the Lithuanian group. The German group gave a presentation on how their system works when refugees arrive in their country. The German systems and procedures seemed particularly efficient and effective of course. The Macedonian staff gave us presentations on the current situation in Macedonia with regard to refugees’ attempts to get to Europe through Macedonia predominantly via Serbia. They explained the Catch 22 moment the refugees found themselves in forcing them to pay smugglers to guide them through borders and hide them from domestic police. The fact the smugglers were the only ones offering the service was one of the awful realities of the situation. The smugglers are usually also drug traffickers because they have the knowledge of how to pass through a border illegally and have the audacity to try. Without them, the refugee’s situation could be arguably worse as they would be stranded. However, their treatment of the refugees is inhumane. Workers told stories of groups of over 50 refugees being kept in two rooms and being forced to sleep while standing up. In an attempt to have bargaining power with the smugglers they leave money with the smugglers associates which will have a lock combination on it. When they have reached their location and the smugglers have upheld their side of the bargain, they then tell them the code and release the money. However, often smugglers used violence to acquire the money prematurely. Many of the refugees who had run out of money or whose money had been stolen were then forced to work. On many occasions, they were held for months on end before they were guided, by the smugglers, over the border and onwards to Europe. Some were used as slave labour guiding other refugees to earn their keep. Many were never actually given safe passage by the smugglers in the end, instead were sold false promises. Accounts of child sexual exploitation and sexual assault of refugee woman were also articulated. The lack of state provision as the refugees were labelled as illegal was strongly challenged by all at the conference. The Macedonians staff preferred the term ‘irregular’ to illegal, as they felt their illegal status was the root cause of the crisis. We agreed, that an individual who is forced to flee their country, with no other option, must be offered compassionate asylum and provisions by the state in order to stop them from turning the black market as this ultimately funds the black market further and leaves them open to ransom by extremely opportunistic criminals. We visited a refugee detention camp in Tabnovce and were greeted by the camp leader who preceded to give us a tour. Located on the outskirts of the town it is isolated from Macedonians which seemed counter intuitive to the narrative which asserts that refugees are not welcome due to issues of polarisation. From what I could observe the camp was run exceptionally well. The cafeteria area, classrooms, play areas and living areas were all housed in renovated shipping containers. Although not ideal, they did seem functional and the staff had made great strides to make the place look aesthetically pleasing and inviting. The support workers were unbelievably attentive to the refugees and seemed to have a great rapport with them. If I were religious I would call it ‘God’s work’. They understood that if they made the camp enjoyable for the kids, they can make their experience at the camp not traumatic or expose them to even more hardship. Potentially this could help them be less scarred in their adolescence. Inevitably, a negative transference of energy from the parents to the children occurs. The families are detained, cannot leave the camp and almost always, their leaving date is uncertain, giving them no target to aim for, further adding to the distressful situation. Staff do all they can at Tabnovce but when over a thousand refugees turn up to their gates at one time, satisfying all the refugees needs becomes near impossible on their limited budget. NGO workers, due to a lack of state provisions for refugees, also work with amazing local Macedonian volunteers whom had balconies looking over the train tracks where refugees walk. The volunteers take food donations and then distribute the food all those they see. A teenager from Afghanistan, who I spoke to, was symbolic of the failure of the European Union bureaucracy, communication and management of the situation. He undertook the ordeal of smuggling himself from Afghanistan to Europe, fleeing unimaginable circumstances but now his only wish was to return to home to Afghanistan. Listening to him tell me this information made my body shudder at the thought of my comfy suburban life in West London. The UK government’s lack of compassion and desire to accept refugees was condemned at the conference. It was particularly embarrassing for our nation when the efforts of others were discussed. When one compares Germany’s response to the UK’s, the disparity in the figures of how many we have each accepted, is quite astounding. The actual cost to each constituency of taking more refugees is miniscule. It would represent an honourable sacrifice for our country. If one can even call it a sacrifice when taking in to account the immense human capital and diversity of culture these individuals would offer our country in return. If the public services of one of the richest countries in the world cannot handle this small intake of refugees then anti-austerity and redistributive economic alternatives must be explored. As the plight of the refugees was discussed further at the conference predictably the discourse came back to western foreign policy. Organisations working with refugees understand they are like firefighters facing infinite flames, helpless in tackling the core source, the lack of effective international diplomacy. Afghanistan, Iraq, Libya and Syria, unsurprisingly, made up the dominant demographic of the refugees. Afghanistan has been under near constant siege since the First Anglo-Afghan war in 1839. Violence and destabilisation brought to their shores by France, Russia, America and the UK. Iraq, Libya and Syria were all destabilised by western powers also. American economic sanctions which killed 500,000 Iraqis or indiscriminate bombings which kill one member of ISIS but 200 civilians at the same time. When I saw the reality of the refugee crisis with my own eyes, piercing the false consciousness which can numb your compassion when the crisis is so far from your day to day life. It reinforced my opinion that western intervention in these nations has been misguided. Leaders with poor human rights records must be removed via international political pressure and in an organic way by individuals of the host nation. To remove leaders with such destabilising tactics, leaving power vacuums amongst other implications, can never be an option. When attempting to eradicate ISIS we must be empathetic to how we would feel if Syria bombed an entire apartment block in one of our towns, to take out one bad individual. This was an exceptional and hugely beneficial conference to attend. From it, I hope stronger European ties can be created to deal with this ongoing crisis in unity (despite Brexit). The compassion and desire to help all shown by the individuals I met at Etno Selo is representative of the human nature I hope we can replicate in our policy and narratives influencing our societies.